Martin Communications - Phones - Surveillance - Wiring - GPS - LED Signs and More! IT Services - Let us be your IT Department! We are your one-stop technology provider, and we are your IT staff. Save time and money with us on your side. Integrate your computer network and your phone network for more efficient communications. Setup servers for remote data access and allow access to programs for remote users. Setup a server for data storage and backup to insure you have a copy of the important information. You can purchase a maintenance contract to cover your phone system and server-computer network, having the piece of mind your technology will stay up and running. 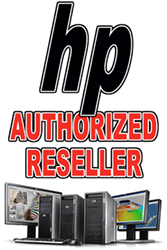 Martin Communications is proud to be a Server, PC and Network services provider. Our total network solutions coupled with our total telephony solutions, now make us your total technology service provider. Our total network services not only include Network installation and maintenance, but PC sales and support, Server sales and support, Printer sales and support, and Firewall sales and support. Let us be your IT staff. Maintenance contracts for your network can be purchased at 3 different levels depending on your needs. The basic level starts at $200 monthly with 8-5 PM Monday thru Friday service. What an inexpensive way to have an IT person on staff! Don't waste time and money looking in the phone book trying to find someone to repair your servers, computers or printer equipment, call one of our friendly staff members at 800-521-6421. Copyright © 2006-2011 All Rights Reserved.Martin Communications& Companies Represented.